This wonderful perennial is a cross between another, more tropical turk’s cap cultivar, ‘Big Momma’ and our lovely native variety, drummondii. 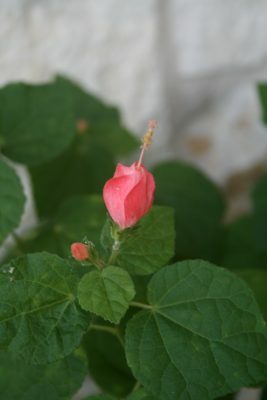 Pam’s Pink has a similar growth habit to our red flowering native, and also prefers a similar habitat. 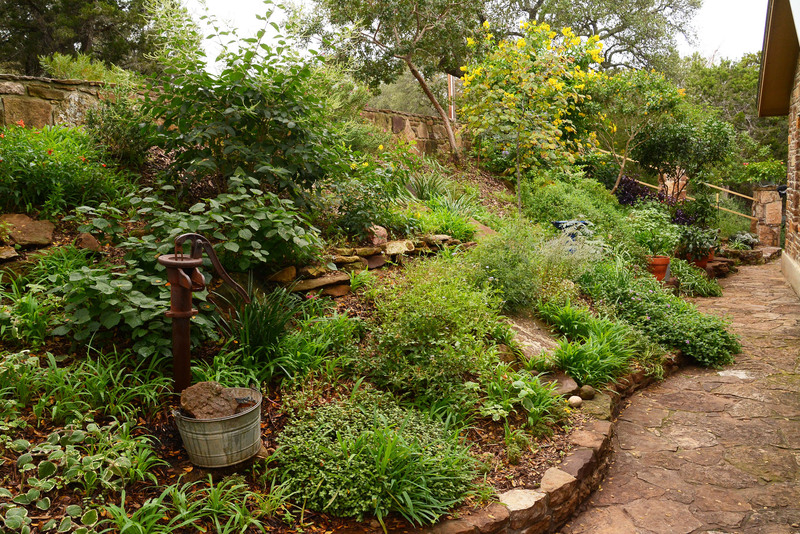 Water: Drought-tough once established; also great for rain gardens, or other areas that get seasonally wet. Sun: Can take full sun but prefers part shade. It may need a little more water in full sun. Good for woodland areas. Hardiness: Listed to USDA Zone 5 (5F). During an extra hard cold snap, the roots may freeze, especially with late season plantings. In warmer areas, it may be evergreen. In Zone 8, it will usually freeze to the ground in winter. 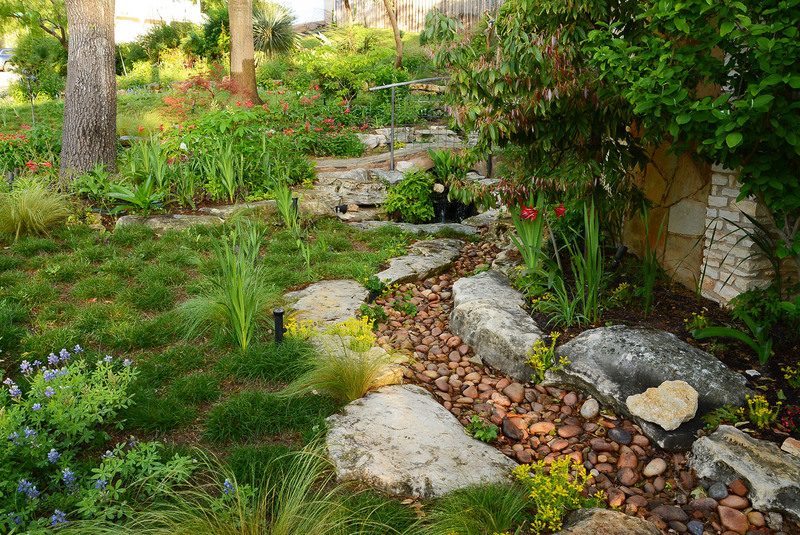 Simply cut it back to the base in spring and new growth will emerge within a few weeks. Flowers: From late spring to first frost. Coral-pink turban flowers attract butterflies and other beneficials and hummingbirds. Fruit: Fruits are edible for humans and wildlife.